Instead of spring cleaning or getting to grips with the garden, people start doing odd things. As if Morris and Maypole Dancing weren’t enough, they enjoy chasing cheeses down steep hills or go in for a spot of shin kicking. 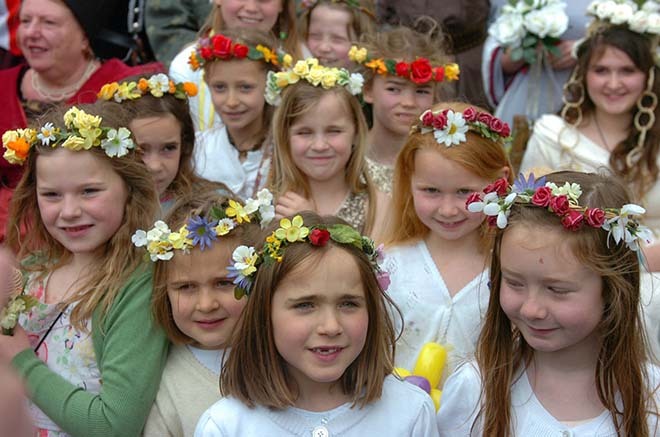 Here at Clutton Cox, we decided to find out a little more about these wild and wacky traditions and where to find them. 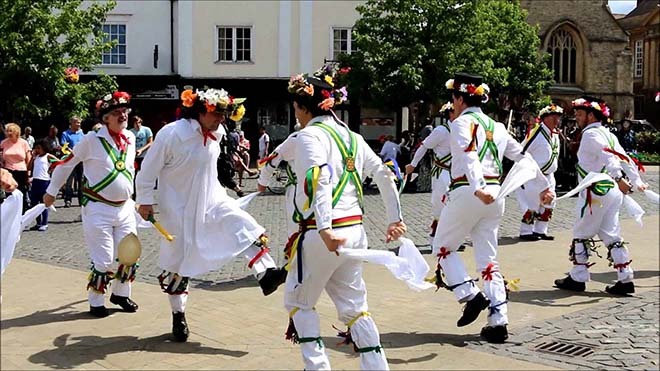 On Saturday 13th May, what seems, at first, like a traditional village fete takes place in the village of Randwick, near Stroud. However, this revival of an ancient festival is completely bonkers. Members of the organising committee bear names that include the Mop Man and the Sword Bearer. During the costumed procession, the ‘Queen’ and “Mayor’ are charged with rolling real cheeses down the high street, which are then shared amongst the on-lookers! 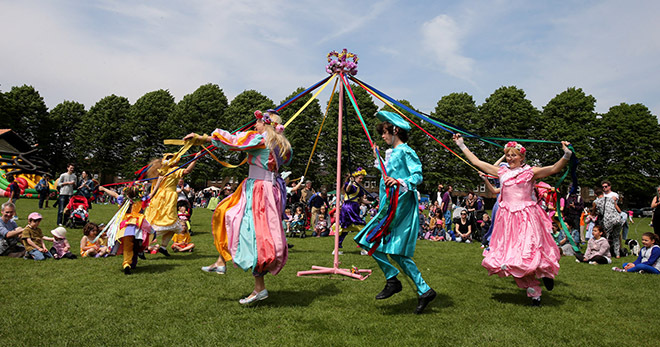 This is followed by a fair, which includes welly wanging, plate smashing and a stall that specialises in bread and butter pudding. 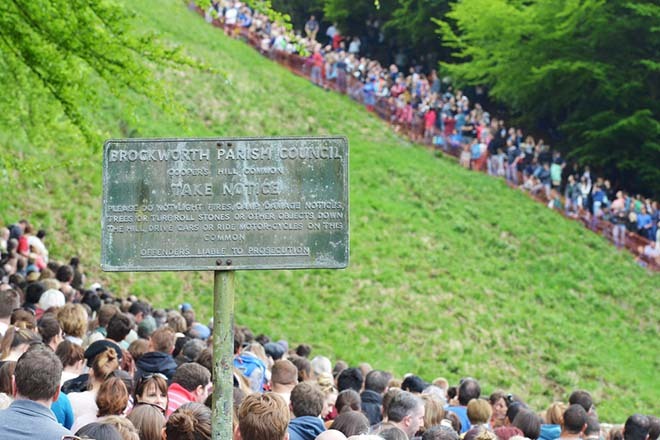 Coopers Hill in Gloucestershire is the neck-breaking location for this annual event, which next takes place on Monday 29th May. 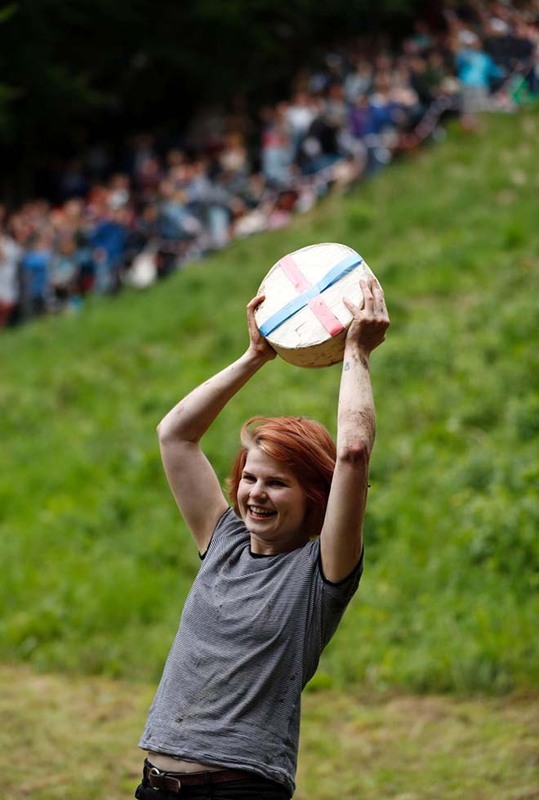 Hundreds of people from around the world descend on the village, either to participate or watch this extraordinary event, which involves people taking their life in their hands to chase a 9lb Double Gloucester cheese. The cheese has been created by local cheesemaker Diana Smart since 1988, but, given it can reach speeds of up to 70 mph, a foam replica is now used to avoid spectators being injured. If you’d prefer something a littlre more sedate, neighbouring Tetbury might have just the thing for you. 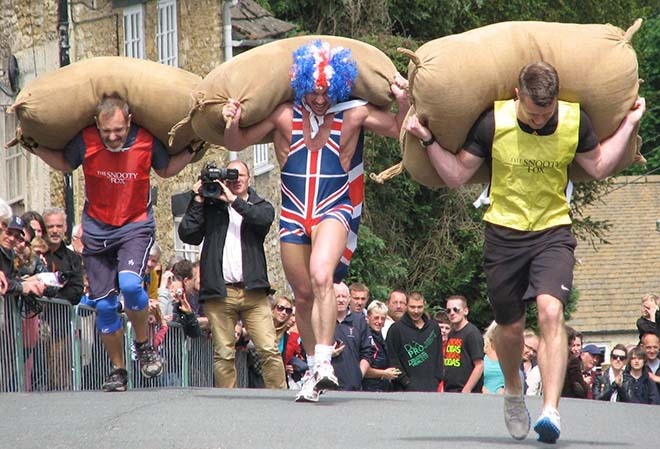 Also held on 29th May are the Woolsack Races. Tetbury used to be a huge centre for the wool industry. In days of yore, drovers, the chaps that herded sheep across the country, liked to impress the ladies by stumbling about under the weight of huge woolsacks (each to their own) and the tradition continues to this day. We’re back to cheese with this one and a traditional that takes place in the Gloucestershire village of the same name, to be found in the Forest of Dean. 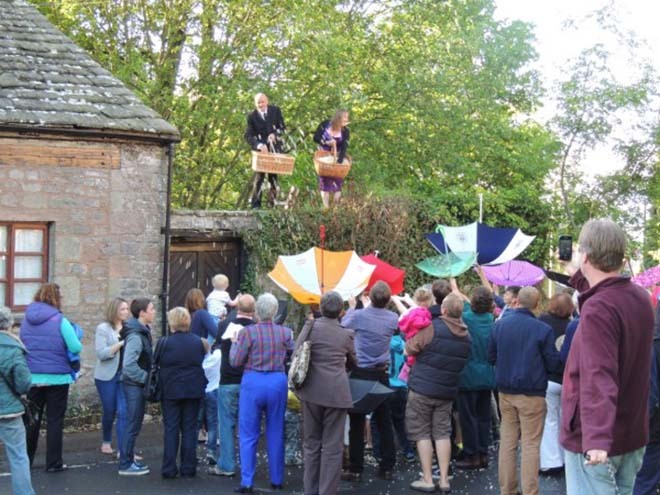 On Whit Sunday, which is June 4th this year, the congregation gather outside the church following the evening service to catch morsels of bread and cheese thrown to them by two people standing on the church wall. If you catch the bread and cheese before it hits the ground, it is said to have magical properties. To this day people keep the crumbs in matchboxes and place them under their pillows for good luck. There’s no official website for the event but a spot of Googling will give you everything you need. If you enjoy people deliberately hurting themselves, then you’ll love the World Stinging Nettle Eating Championships that are hosted by The Bottle Inn in Dorset. 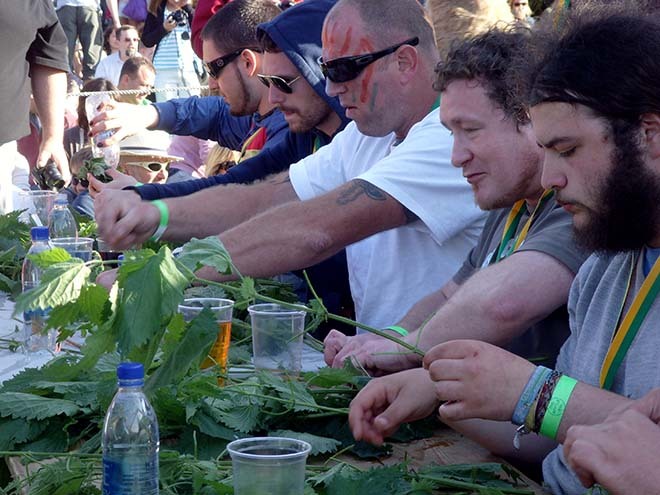 On 18th June, people (mostly men) voluntarily come along to sit at a wooden bench and munch their way through a pile of nettle leaves accompanied by pints of cider and beer.